I have always had a passion for food but it really started to take shape at the age of 13 when I cooked my first Christmas dinner. It was love at first meal. By the age of 19 I was preparing and hosting 3 course dinner parties for my friends. Once married, I began to read my husband’s grandmothers cook books; this is where I really started to learn about the art of making food from scratch. When my eldest son was 5 I delved deeper into understanding food labels and making everything from scratch due to the severe health issues that he faced. After some time my family members started asking me to prepare meals that they could take home at the end of a busy day and preparing dinner parties for their friends. Somehow the word got out and I found myself catering my first wedding 8 months pregnant with my 3rd child. I couldn’t keep away from food any longer and it was time to get my formal training. I wanted to start my own personal chef business in order to help families with the stress that comes with meal time preparation. It was finally time to leave the corporate world and enter into the culinary one. 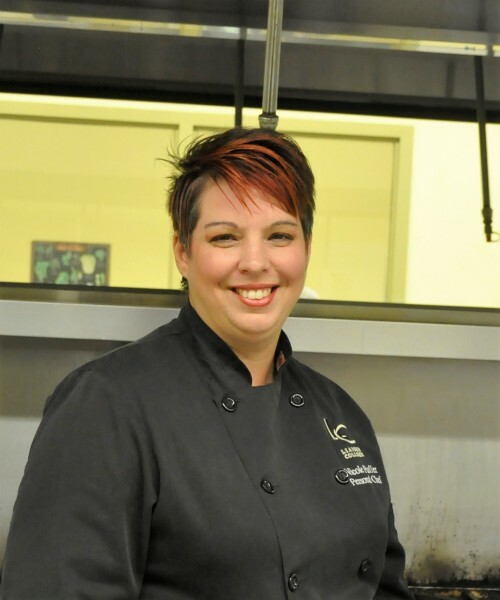 Finally, in 2011 I enrolled at Liaison College of Culinary Arts in Kitchener in the Specialist Chef Diploma Program where I was able to hone my skills and prepare myself for the industry. I was provided the opportunity to utilize my chef training as well as my background in administration to bring my business idea to fruition. In 2013 Meals Without Madness was born. My deep desire to assist families with their meal time stress was no longer just an idea and a passion, it was becoming my reality. Today, 5 years later, I am still the proud owner operator of Meals Without Madness and I could not be happier. Today, along with my Personal Chef clients, I am filling my days with a variety of business opportunities from Catering corporate events to teaching children and adult cooking classes as well as working with a Flanagan foods, a local food distributor, showcasing their products at Bistro’s and Food shows. My newest project will take me into the world of food manufacturing where I hope to learn how to bottle and distribute my own sauces. I am also currently sharing my experiences and knowledge with the students at Liaison College as the Personal Chef Instructor so that they can follow their own dreams and successfully undertake their own business ideas. I believe in starting on the right foot and avoiding the many pitfalls and I hope to share this with as many future Chef Owners as possible.